There are some novels that are all too easy to summarise: a quick précis of the plot and you've encompassed all the depth and resonance the work has to offer. Other novels offer something much more complex and multi-layered. A plot outline really will not do the job because any one turn of events can have two, three or even more ideas shooting off from it. 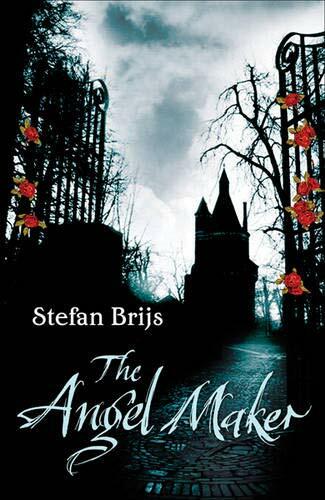 The Angel Maker , first published in Dutch in 2005 and now available in a superb translation by Hester Velmans, is one of the most complex novels I have read in a long time, and also, not coincidentally, one of the most satisfying. If I were to try to outline just some of the multivalent echoes that surround the rather straightforward plot I would have to say it's about God being evil and Jesus being good, the pernicious influence of the Catholic church on mental health care and on education, the nature of scientific research, Asperger's syndrome, cloning, living on borders, the creation of life, parental responsibility, how we see only what we want to see, how is it possible to do good, and what it is like to live in a small town. Oh, but that barely scratches the surface. The novel has already won numerous awards in Europe; it is easy to see why. Let me try to keep this simple (one of the real pleasures of this book is the plain, unadorned prose that yet manages to resonate on so many levels). The novel begins at three in the afternoon of Saturday 13 October 1984, a precision that is, appropriately, maintained throughout the book. At that precise moment a taxi pulls up at 1 Napoleonstrasse in the Belgian village of Wolfheim close to the point where the Belgian, Dutch and German borders meet. The date, 1984, has no real literary significance here, but the name of the taxi's passenger certainly does have: it carries Dr Victor Hoppe, and we are surely meant to call to mind Dr Victor Frankenstein, though the monsters this Victor creates are of a very different order to that of his literary ancestor. Dr Hoppe is returning to the family home for the first time in 20 years; his parents are now both dead, but there was some scandal involving his departure long before. Within moments of his arrival Dr Hoppe performs a miracle, saving a child who had been choking, and before long he is hanging up his shingle as the village GP like his father before him. But it is not this that excites the local gossips, who act as a fascinating Greek chorus throughout the novel. What has tongues wagging is what the good doctor brings with him: a carry cot with three babies. Michael, Gabriel and Raphael—named for the archangels, though the religious significance of this will only become apparent later—have over-large heads already bearing the doctor's red hair, and each has a tidily sewn-up cleft palette identical to the one that disfigures their father. But the villagers hardly get to see the children, since the doctor keeps them sequestered inside, sparking a rumour that they are ill. The only person who does get to know them is ex-teacher Charlotte Maenhout, hired initially as a housekeeper but who soon takes on the role of their tutor. Against her better judgement, Charlotte finds herself becoming attracted to the three strange, ugly children with their hard to understand speech and their restless intelligence well beyond their tender years. She rebels against Victor's strangely unfeeling attitude towards his own children, his invasive experiments upon them, and the restrictions he places upon her teaching: she can teach them about Jesus but not about God, she must not take them out of the house. Yet every time she flouts his rules it seems to end in disaster, so perhaps Dr Hoppe really does know best. Years pass, the children age faster than their years, and eventually, catastrophically, Charlotte begins to understand the true nature of the three boys. Regardless of the way we are directed towards the mystery of the children, however, as the fact that they are clones comes as no real surprise. The real mystery here is the character of Dr Victor Hoppe, and we begin to explore that in the second section of the book. Victor was born with a cleft palette, a disfigurement that so horrified his mother that she couldn't bear to be near him. Eventually, seeing no other real alternative, Victor's father follows the advice of the local priest and hands the boy over to a nearby asylum run by nuns. The regime there is brutal, a combination of neglect and abuse, with no actual psychiatric care, so it is no surprise that no-one notices that Victor suffers from what we would now call Asperger's syndrome. In his silent patience he is simply classified as an imbecile and left to rot. But one young and reluctant nun comes to recognise Victor's intelligence and painstakingly teaches him to read. In a novel so beautifully constructed that the echoes, parallels and doubles that run throughout are so subtle it is easy to miss them—the two times we see Victor as a crucified Jesus, the traumatic childhood outings to where the three borders meet, the boys' unnamed ‘mother' who bursts into Victor's life in the third part of the novel much like Charlotte did in the first—there is one duplication that is placed before us in such a way that we are forced to recognise it. This young woman is so desperate to leave the order that she gets pregnant, only to undergo a forced abortion that is one of the most graphic and disturbing moments in the book. Within pages we see an older Victor setting out to perform a similar abortion on an unwitting patient. Life is given, life is taken away; though this is a book about creating life, there are more deaths here than there are births. From the hell of the asylum, Victor eventually moves on to another Catholic hell, a school where he is again subject to abuse. And here, again, he is lucky in finding a sympathetic teacher who encourages his intelligence but, still, fails to recognise the strange literalism of his approach to everything. Victor knows the Bible intimately and thoroughly from a very early age, and that is really all the nuns and priests require of him. It never occurs to them that his total inability to recognise allegory and allusion, his insistence on taking everything at face value, has led to a very personal take on things. God is evil because God causes suffering and death; Jesus is good because he tries to restore life. Later, when Victor has become an obsessive biological researcher whose first paper announces a major breakthrough, he is headhunted by the Dean of a German university with the words ‘You have certainly beaten God at his own game', unaware that this is literally what Victor is trying to do. Victor is on a holy mission to do good by creating life, hence his interest in cloning; but his total lack of empathy, his inability to work with others, his lack of interest in replicating any of his experiments (while other researchers find it impossible to duplicate his results) eventually leads to him being branded a fraud, leaving the university for the backwater of Wolfheim with the results of his latest experiment. No good deed goes unpunished. Or rather, our ability to do good depends upon what we perceive good to be, and even then too obsessive a pursuit of the cause can have results directly contrary to those we intend. Victor's inability to recognise subtlety, to realise that there are gradations between good and evil, means that his best efforts are fated to have the worst effects. The stage is set for the gathering and breathtaking tragedy that occupies the final third of the novel. It isn't, in the main, difficult to work out what happens next, and yet you keep reading, horrified by the inevitability of it all, desperate for characters to behave with a little more humanity, a little more understanding. And you know when they do (with few exceptions, this is a novel filled with people trying to achieve their own version of what is good), it is as likely to produce unhappiness as joy. Still, the ending comes as a colossal shock. Afterwards you look back and realise how clearly it had been foreshadowed, yet it hits you with a cold terror. Even so, for all the horror, for all the pain and death and abuse that run throughout the novel, this is not a dark or unpleasant read, something you pick up with a grimace and put down with relief. It is enthralling, commanding, a simple story that raises vast and complex issues about God and science and the relation between the two, a novel whose ideas will linger long.